On August 16th, the Round Top Chamber of Commerce revealed the first exciting look at our brand new website at the monthly Chamber meeting. Marketing chair John Lowery presented a preview of our revamped online presence, which will serve as a valuable resource for tourists and residents alike. In addition to the website, the Round Top Chamber of Commerce also distributed several new marketing materials to Chamber members to display and hand out to visitors at their businesses. Be on the lookout for these exciting new ways to engage with the Round Top Chamber of Commerce community. Hand-drawn map pads: These maps provide a visually appealing way to show visitors where they are and where they want to go in Round Top – all within walking distance. Email sign-up pads: Visitors now have a quick and easy way to provide their email for the Round Top e-newsletter. 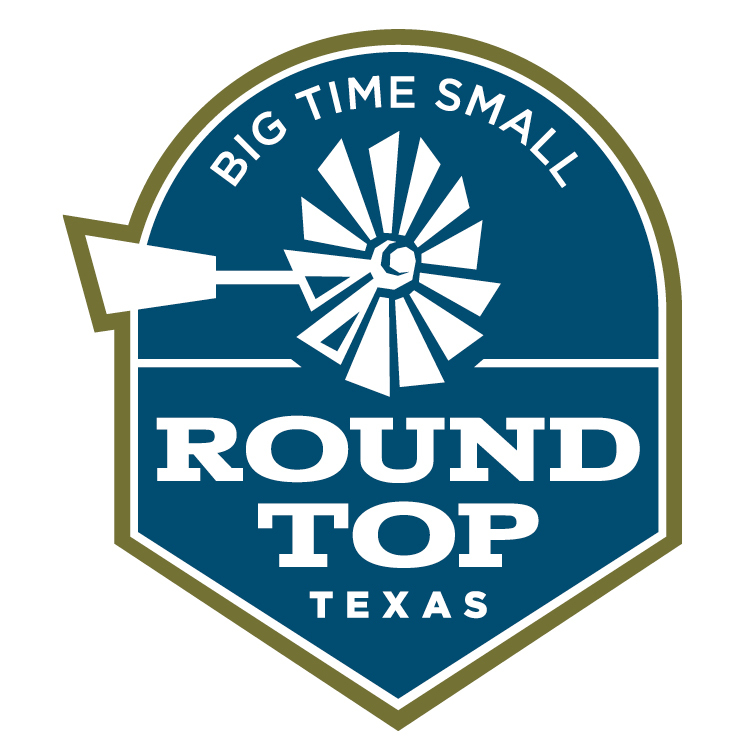 Round Top, Texas stickers: With each email sign-up, visitors will get a free Round Top, Texas sticker, complete with our new logo and slogan: Big Time Small. Window cling stickers: Look out for our new Round Top Chamber of Commerce logo stickers in the windows of our proud Chamber member businesses. Following the meeting, a mixer was held at Round Top Chamber of Commerce member restaurant Lulu’s in Bybee Square for all Chamber members. It was wonderful to mix and mingle with our members over wine and pizza while distributing our new marketing materials. We’re excited about our new website and can’t wait to show off more of our town that is Big Time Small. Questions? Thinking about becoming a Round Rock Chamber of Commerce Member? Contact Kelli Sanford at [email protected].